Maharishi School buildings are designed according to the classical principles of Maharishi Stapathya Veda design, architecture in accord with Natural Law. The main, three-story building houses the Lower, Middle, and Upper School. All rooms are spacious and light-filled and have a pleasant view looking over the tree-filled grounds. The heart of the complex is a central courtyard, planted with an orchard and a rose garden. In Maharishi Stapathya Veda design, this is known as the Brahmasthan, the silent center around which all the activities of the school take place. Our students know it as our edible schoolyard and enjoy the apples, strawberries, and raspberries in the Fall and Spring. 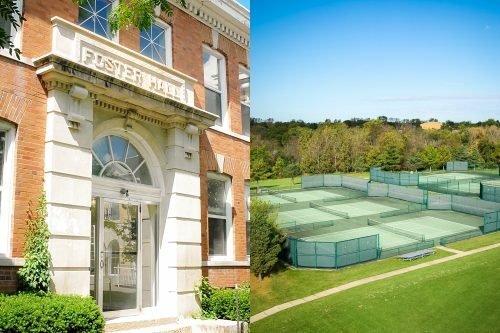 Foster Hall, which houses more Upper School classrooms, is on the northern side of the courtyard overlooking the central, edible courtyard. 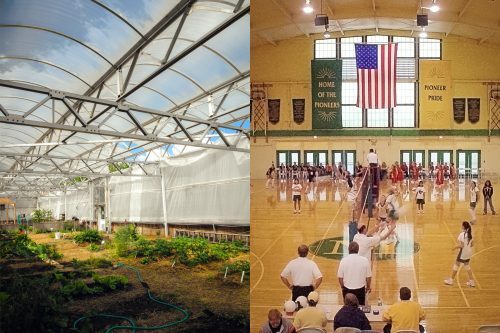 On the western side is a 4,000 square foot greenhouse. Our greenhouse, known as the Garden of Bliss, produces an abundance of fresh organic vegetables and serves as a hands-on classroom for our earth-to-table program. On the southern side of the courtyard is our Media & Student Center, Classroom kitchen, and Preschool. We have two school libraries, three computer labs, three art rooms, a fully equipped digital and conventional photography lab, and two music rooms. The spacious auditorium is well-equipped for performances, school assemblies, community gatherings, and lunchroom. 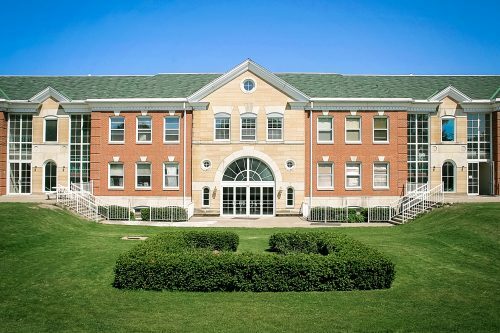 Across the street from the Maharishi School complex is our dormitory: Hildenbrand Hall. 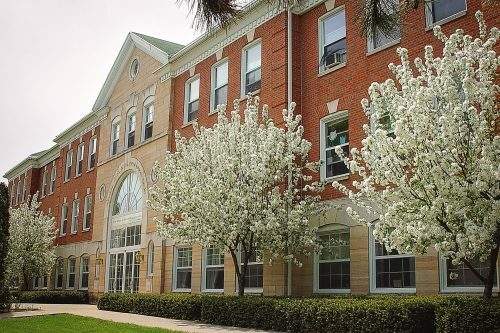 Newly renovated in 2018, this dorm houses up to 30 students. Being located on the main campus of Maharishi University of Management (MUM), Maharishi School also has access to the Dome Market which sells organic produce and grocery items and houses an organic restaurant. Upper School students often enjoy the cafe and bookstore in the MUM Student Center. Additionally, our School has access to the recreation facilities such as a climbing wall, indoor track, a cardio and weight training room, indoor and outdoor tennis courts, playing fields, and a swimming pool. Maharishi School Field House is host to many exciting games for basketball and volleyball.